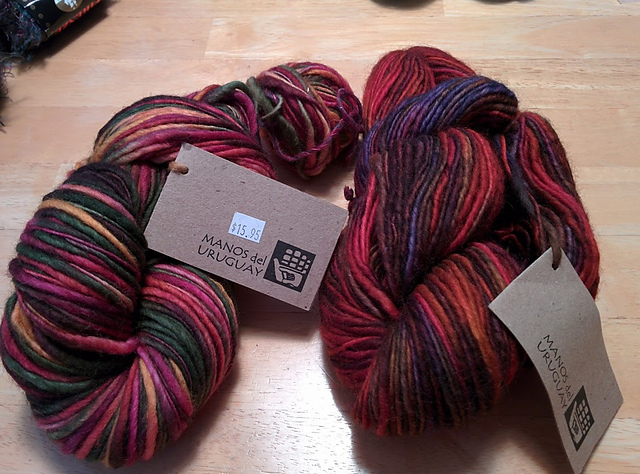 I thought I’d share one method I sometimes employ for keeping track of my yarn labels. Then I fold my label so that its smaller than the width of the center of my yarn ball, and then hold this over that center pillar as I pull the yarn ball off the winder. This leaves the label inside the yarn ball. If you also pick up that center pull end and put it inside the folded label, it makes it fairly easy to find that center pull for later, although this does end up removing your label from inside your yarn ball once you start working it. Every so often I take a minute after a project and before the next to physically go through my yarn stash. Since I’ve been stash busting, its also a good way to see what singles, partials and just plain kind of special cases of yarn need to find a use. My last venture started out with some thrifted Manos del Uruguay Classica (Price tag is from the stashkeeper before me). This is a thick/thin single ply yarn that is kettle dyed in some lovely colors and which I ended up with just a bit better than 2 non-matching skeins. The skein on the right looked like a good match to one of the half a ball colors left over from my original stitch block cowl, so that was my jumping in point. 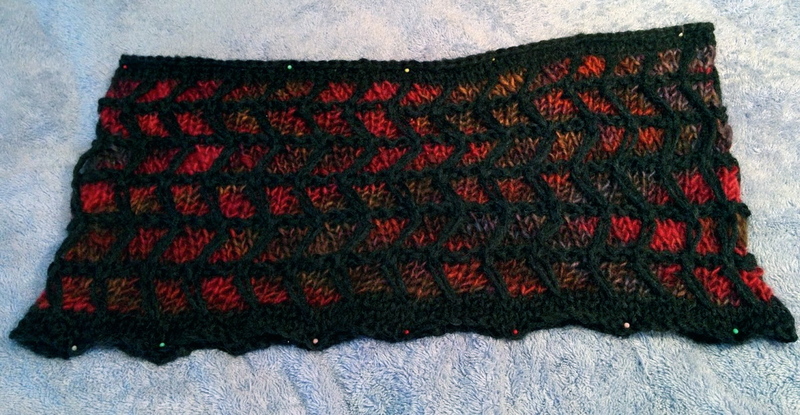 This one I guess I’m calling the “Wreck Yourself Cowl”. Not just because you should “check yourself before you wreck yourself”, but also because if you’ve ever accidentally dropped a stitch the concept of dropping 30 or so stitches that you want to pick up later is a little mentally challenging, even when the actual stitches aren’t that complex. 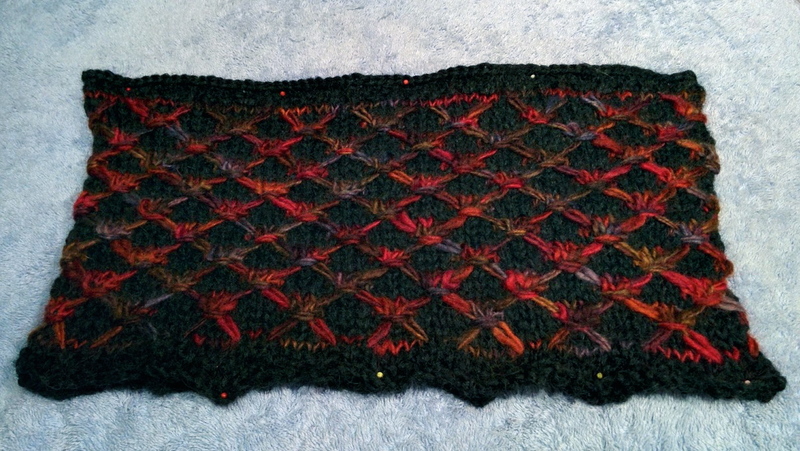 This pattern needs a bit more refining before its ready to be test knit. Which is ok with me since I like the design even if I am not typically a cowl wearer. So in order to be eligible for prizes you need to visit 16 stores. With the bus that covered my first ten. So on Friday I stopped at the three most local to me, and yesterday got the last three more on the way to Mount Rainier. I picked up my giant length of white for my wedding quilt, the grey background for my guestroom top as well as several bits and pieces for both the wedding and dinosaur quilts I have on the idea board. 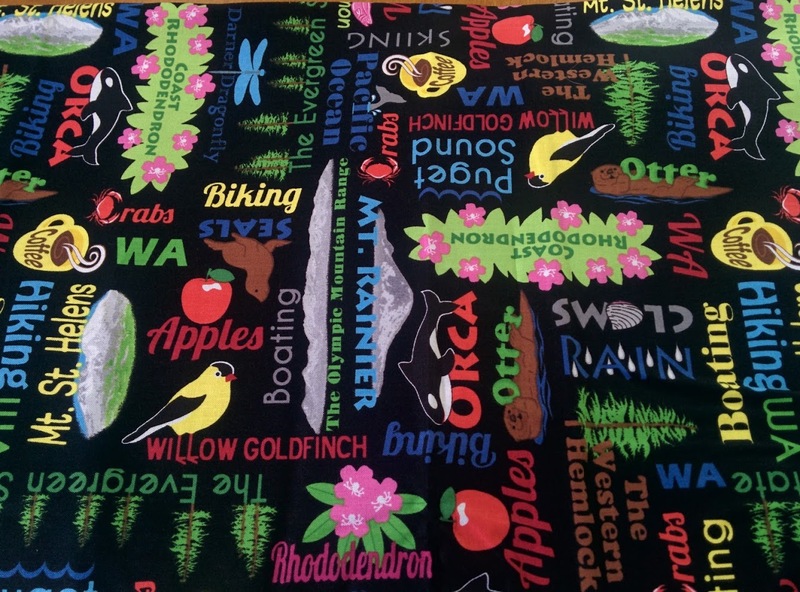 And if you recall the Seattle Fabrics I picked up last year and still haven’t made a project with… well the last shop we stopped at had a Washington Fabric that has similar themes…. so I got some of that too. 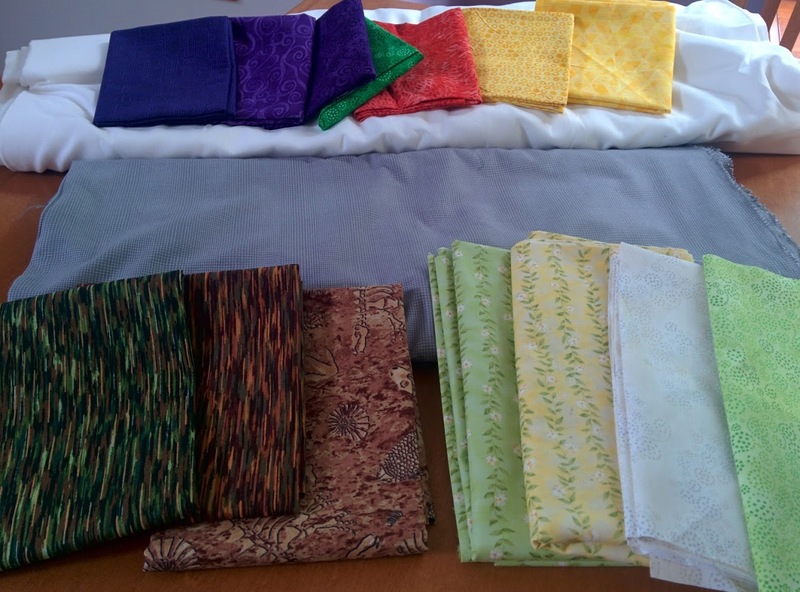 My fabric stash is piling up… I’d best get to work! 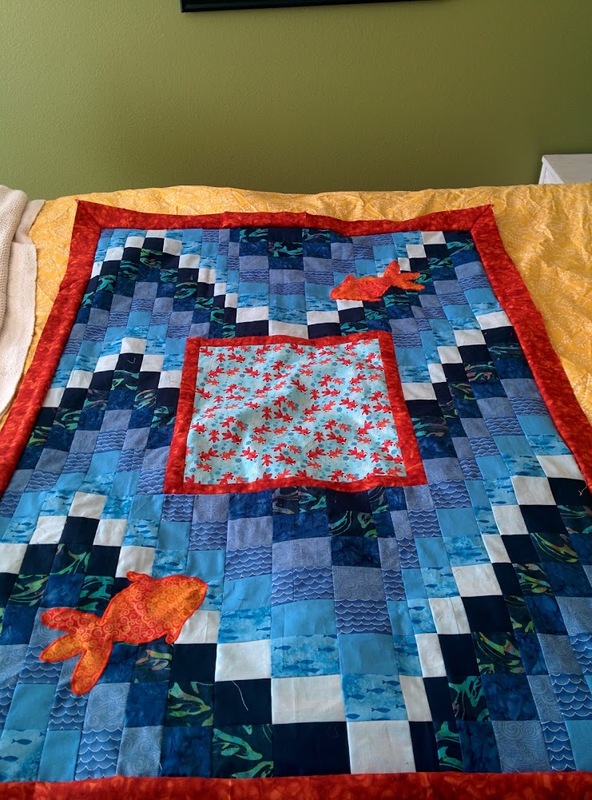 Though I will leave you with a teaser of the latest quilt idea I have been working on.